When facing bad or prosperous times and the decision is made accordingly to move into a more reasonable or lavish place, you may want to think about whether you are in a position to rent out your current residence. The reason this question keeps recurring is because the most difficult part about real estate has always been how challenging it is to buy it. So, if you already own something, use this chance to take full advantage of your opportunities, which may include converting it in to a profitable rental property. Obviously for those who have extra money and are in a position to upsize, this decision is much easier to make – but for those faced with difficult times and needing to tighten their budgets, the decision requires careful attention: Make sure you are able to afford owning two properties at once! Okay – you may be asking: “If I can’t afford one, then how am I possibly going to afford two homes – and why would I want to move out of the more expensive one?” Well, that comes down to a matter of common sense. The theory is that the bigger the house, the more expensive the maintenance and the utilities – so let someone else take care of those expenses while you wait patiently for your equity to grow. 1. Will you be able to rent the property for more than what you’ll owe each month? 2. Can you qualify for a favorable mortgage on the new property while factoring the current property into your debt-to-income ratio? Most mortgage lenders will only calculate 75% of your monthly rental income toward your personal income, because they conservatively allow for a 25% vacancy rate. One final preliminary word of caution: The emphasis here is to try to make the most of real estate that is already in your hands, by having it work to your advantage. If you feel that your financial situation will be too stressed or placed in jeopardy by keeping your previous residence, then – by all means – sell it! However, you may be sitting on the market for an overly extended period of time while trying to sell it, so you may then want to rethink its use. Either way, the most important point is to always consider the option of renting out your current home when either upsizing or downsizing to a new one. 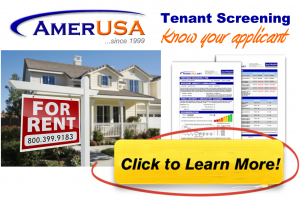 Next Next post: Is it Time to Invest in Rental Property?